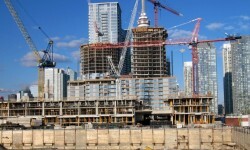 Realty News Roundup is PropGuide's selection of weekly top stories from the real estate sector. To appease the India Inc, the government is mulling to delay the rollout of the country's biggest indirect tax reform — the Goods and Services Tax — to mid-2017. Sources said although the target date is April 2017, it could be delayed by six months as the industry has sought some time for preparation. Considering the geographical vulnerability of the area as it falls in the seismic zone-IV, the Noida administration has made it mandatory for the district administration to conduct soil testing of the land before allotting a group housing plot. To ensure the compliance of the Disaster Management Act 2005, the district magistrate said the completion certification would only be given to a developer if the structure met the guidelines of the Act. In a bid to generate more residential space in Mumbai, the Brihanmumbai Municipal Corporation has approved 24 projects near the coastline around Girgaum Chowpatty, Prabhadevi, Mahim and Shivaji Park. The civic body has so far sanctioned seven such redevelopment projects in south Mumbai and 17 projects in Mahim and Dadar. In one of the biggest property transactions in recent times, Ajeenkya Patil, son of Congress leader and former Bihar governor DY Patil, has purchased a triple duplex apartment at Worli's Silverene Terrace for nearly Rs 100 crore. The sea-facing 23-storey building is a much sought-after address in the city. 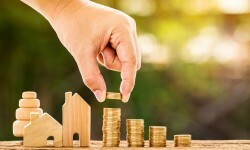 The Competition Commission of India has approved the merger of two Dewan Housing Group companies — Aadhar Housing Finance and DHFL Vysya Housing Finance. Under the deal, Aadhar Housing Finance would be merged with DHFL Vysya.